Oriflame draws inspiration from the Amazon River and Amazon Forest and presents two new limited edition fragrances for summer 2012 - Amazonia for Her and Amazonia for Him. 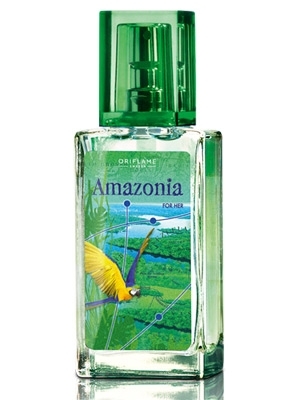 Amazonia for Her is a floral fragrance full of energy that captures wilderness and freshness of the Amazon and promises a sense of freedom. Top notes are luscious cherry, bergamot and juicy Brazilian orange. The heart consists of Amazonian water lily, honeysuckle and passion flower, pumped into the base of bamboo, cedar and sensual musk. The composition is created by perfumer Jean Jacques. The fragrances are available as 30 ml Eau de Toilette.